Blackface in Chinese Lunar New Year Sketch Draws Criticism - Integration Through Media ....! 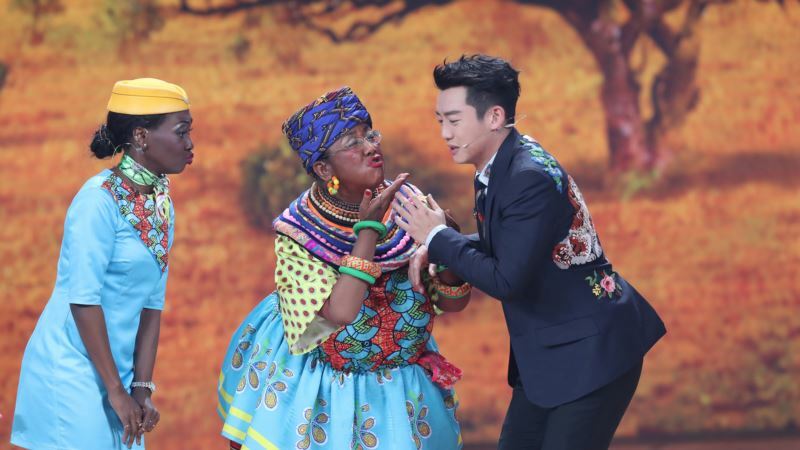 (VOA): A comedy sketch that featured a Chinese woman in blackface has drawn accusations of racism after being broadcast on Chinese state television's Lunar New Year variety show, although some people in Beijing were left wondering why it would be considered offensive. The segment was meant to celebrate Sino-African relations, but many viewers blasted it online for cultural insensitivity. The 13-minute segment opened with a dance sequence set to Colombian singer Shakira's “Waka Waka (This Time for Africa)” featuring Africans dressed in zebra, lion and gazelle costumes, and actresses playing attendants on Kenya's new Chinese-built high-speed rail line.